Reminder to IT leaders: To be a good Leader you also need to be a good follower. Listen to good ideas. Raymond’s background includes all facets of Information Technology work, as he has climbed the corporate ladder of success. He has held a majority of IT positions along the way, including ones in software design, software development, relationship management, project management, technical support, database architecture, data management, hardware and data center operations, and senior management. Raymond began his career in telecommunications and during his 15 years in that industry, garnered both start-up and global operations experience. This included a pivotal year serving as an IT liaison in a customer facing call center. It was here that Raymond began to develop his own “service strategy” for IT management. After leaving telecommunications, he moved into the software industry, where he scaled the infrastructure at Wise Solutions for high growth. He was serving as the Global IT Infrastructure leader at Altiris, when it was acquired by Symantec. Raymond had automated a majority of Quote-to-Cash functions at Wise and immediately saw an opportunity to help Altiris scale their infrastructure. As the first CIO for Saga Communications, he centralized the IT services for all the radio and TV markets. 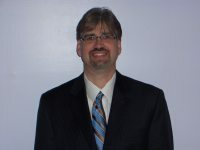 Raymond has an undergraduate degree in Computer Science (WSU), and a Masters of Information Technology Management from Lawrence Technological University in Michigan. He also holds a CompTia Security+ Certification. He is also an avid game strategist, who writes game strategy articles and has a published board game.